ABMI was heavily involved in the 16th International Boreal Forest Research Association (IBFRA) conference held at the Shaw Conference Center in Edmonton from October 7-10, 2013. Given that the ABMI is a pan-provincial biodiversity monitoring agency, much of its monitoring activity takes place in the Boreal Region of Alberta. 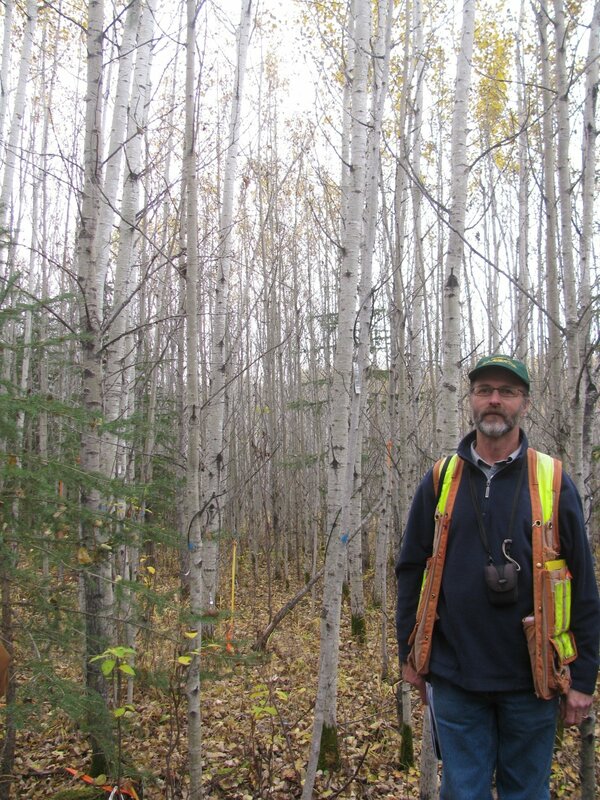 As a result, the ABMI has considerable interest in and contributes to boreal forest research. ABMI staff presented seminars and posters covering a range of topics from the effects of climate change on the boreal forest to recovery of forest stands in response to pine beetle invasion. 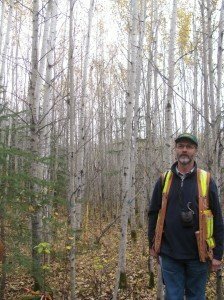 Since its inception in 1991, IBFRA has focused on quantifying changes in the boreal forest and effectively communicating these findings to the broader research and policy communities. Its primary purpose is to “promote and coordinate research to increase the understanding of the role of the circumpolar boreal forest in the global environment and the effects of environmental change upon that role”. Boreal forests make up 8% of the world’s land area and they comprise 29% of our forest cover. Thus, these forests play critical roles in a variety of ecosystem services including carbon sequestration, timber production, non-timber forest products, and biodiversity. The conference theme focused on ”Boreal forests at risk: from boreal science to public policy” and it brought together over 225 participants from 11 countries to discuss ways in which scientists and public policy makers can better integrate scientific research to inform regulatory policy. During the pre-conference field trip on October 7th ~50 conference attendees, including ABMI’s Dr. Anne McIntosh, traveled north from Edmonton to visit a variety of boreal forests. 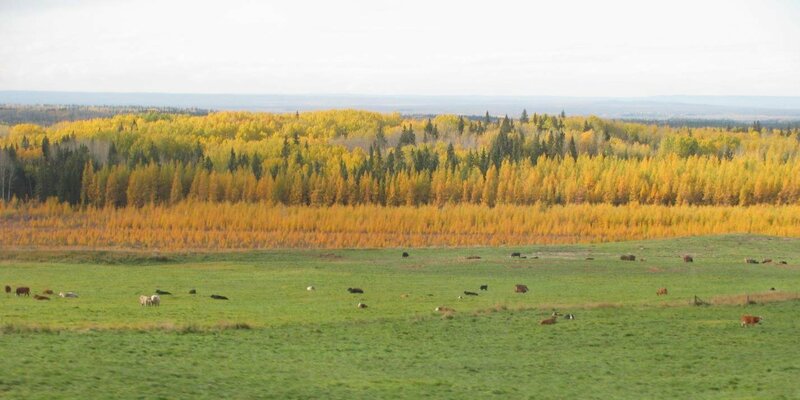 It was a beautiful sunny day; the fall colors of the changing aspen and balsam poplar were amazing and really showcased Alberta’s boreal to visitors from other countries! Stops on the tour included oil and gas land-use facilities, the Boreal Forest Mixedwood Disturbance Impact study, the 2001 Chisholm burn, 1991 Juvenile Mixedwood Stand Dynamics Study, and a young white spruce afforestation project that is operated by Vanderwell Contractors. At each stop, scientists and practitioners presented on their various research projects. During the stop at the Boreal Forest Mixedwood Disturbance Study, ABMI ecologist Dr. Anne McIntosh gave a field-based presentation on the monitoring activities that ABMI does and highlighted some of the intactness findings that will be released in the upcoming ABMI report “The Status of Biodiversity in Athabasca Oil Sands Area”. There were a diverse array of talks within both plenary and contributed sessions throughout the conference that focused on science (e.g., disturbance, inertia, and resilience of boreal forests under climate change) as well as policy (e.g., Canadian Boreal Forest Agreement). In addition, members of the Canadian Boreal Forest Agreement presented a giant floor map of Canada’s boreal forest, which will be traveling across the country to visit schools and other interested organizations over the next three years. Key take home messages from the conference included: there may be climate-driven tipping points in the Canadian boreal zone (see ABMI report on “Alberta’s Natural Subregions under a changing climate: past, present, and future); climate change is leading to increases in drought, fire, and insect outbreaks in the boreal forest; and, with climate change we are seeing changes in wood supply, wildlife habitat, carbon sequestration, and hydrological regimes. We also need to be concerned about the increasing potential for deleterious impacts of invasive species. The conference promoted lots of discussion and provoked many new questions – for example: how can we develop an adaptive management strategy for natural resources under an uncertain future changing climate? Part of the answer is that we first need to better understand the interplay among the diverse array of ecological factors and stakeholders in the boreal and then connect our understanding of these factors with government policies. The reality is that there is still much left to explore in both the science and policy domains and in making linkages between them to address the accelerating environmental, social, and economic challenges in the boreal forest in Canada and globally. Although not an ABMI presentation, Dan Thompson from AESRD presented on “Impacts of linear forest disturbances on wildfire danger in western Canada” using ABMI data in his talk. ABMI data are clearly being applied to a wide range of applications and will continue to be integral to informing both science and policy into the future.